“Julian ‘Cannonball’ Adderley’s enormous personality and untimely death, together with his participation in such legendary dates as Miles’s Kind of Blues, have sanctified his memory …. But brother Nat was a big part of the band they had together from 1959 until Cannonball’s passing in 1975 at the age of 45. “Nat Adderley received top billing in the Cannonball Adderley Quintet from 1959 to 1975. Although overshadowed by his brother Julian "Cannonball" Adderley, Nat's own contribution to the band's success was substantial…. Nat contributed to the quintet as both player and composer. He wrote several hits that became jazz standards, including "Work Song," "Sermonette," and "Jive Samba." His instrumental style bears the influence of Clark Terry, Miles Davis, and, in brassier moments, Dizzy Gillespie. How­ever, Nat's solos are often highly personal in their use of half-valve (slurred) effects, unusual tone color, and a wry sense of humor. 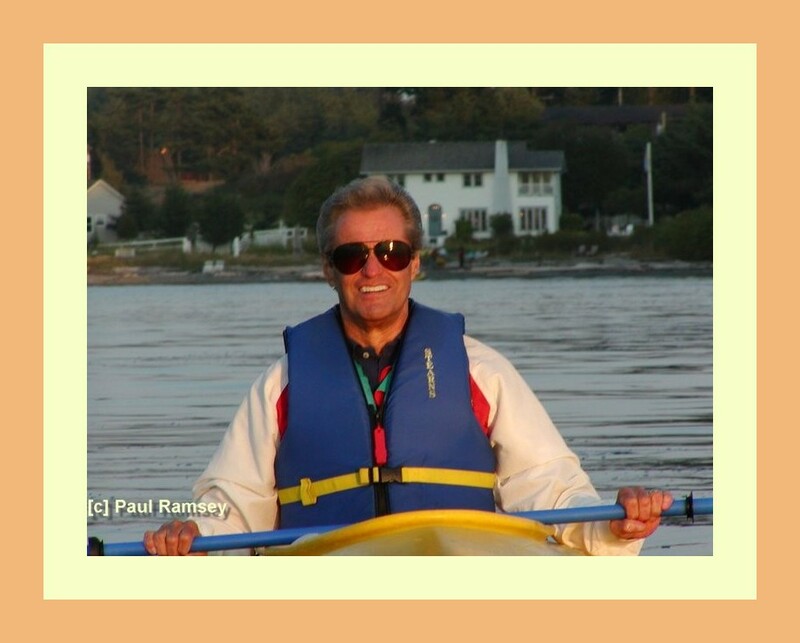 As I have mentioned before on these pages, business travel was a constant part of my life, especially during the last two decades of my career. Most of it was national, some of it was international. Occasionally, and much to my relief, it was local. One such local trip that I made on a quarterly basis involved visiting a client who owned a business based in Stockton, CA, which is about 80 miles due east of my office in San Francisco. Since the purpose of these visits involved an early morning meeting with the company’s Board of Trustees, I would usually drive out for dinner with my client the previous evening to discuss the agenda, and then stay the night in a nearby hotel. It was easier than battling the morning traffic and the especially-dangerous morning fog. A big box bookstore was located in the same complex with the hotel, and as I was restless following dinner, I wandered over to it to kill some time before turning in. The store carried an extensive display of CD’s [remember those?] 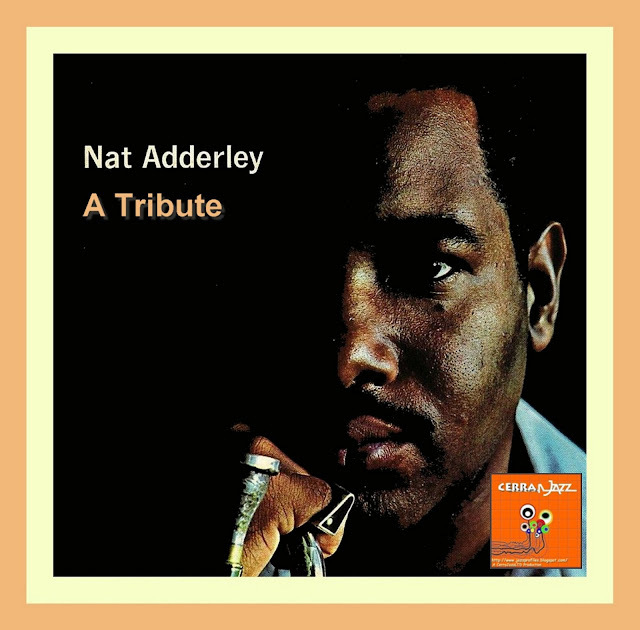 and while browsing its collection, I came across some music by Nat Adderley’s group featuring “Vincent Herring,” an alto saxophonist whose name was new to me. I’d always dug Nat’s playing, the discs were being offered at half price and the “kicker” was that Jimmy Cobb was the drummer on two of the three that I purchased. Boy, was I in for a treat. When I returned to the room, I popped one of the CDs into my portable player, put on my ear phones and there went my early night as I stayed up half of it being blown away by Vincent Herring. Poor Nat; here he was with another fantastic alto sax player. As was the case with brother Julian, Nat more than held his own, but, man, Vincent Herring was somethin’ else [no pun intended]. Elevating, exciting, electrifying - whatever the best words are to describe Vincent Herring - one thing is certain, you can’t expect to listen to his playing and easily go to sleep, afterwards. Although a little groggy from lack of sleep, I showed up to the Trustees’ meeting the following morning with a big smile on my face. That and saving the client a good deal of money on their reinsurance placement must have won the day as I was able to renew the contract for one more year. 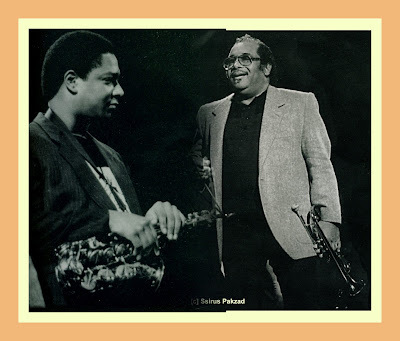 I owe it all to Nat Adderley, at least, the smile on my face, as if it hadn’t been for him, I most probably wouldn’t have discovered Vincent Herring. Judge for yourself whether it was a worthwhile finding as Vincent is featured on the audio track to the following video tribute to Nat. As Nat explains in the introduction, Work Song is one of his more famous tunes. Walter Booker on bass and Jimmy Cobb on drums are old friends from their days together with Nat in the Adderley Brothers Quintet. Art Resnick does the honors on piano. How do you make a Jazz trombonist smile? Have him sit in a big band trombone section when Andy Martin stands up to take a solo. Whatever the context – Tom Talbert’s Band, the Les Brown Band, Louie Bellson’s Big Band Explosion, the Bill Holman Orchestra, the Phil Norman Tentet, the Carl Saunders Bebop Big Band, the Tom Kubis Orchestra, The Metropole Orchestra of Holland, Gordon Goodwin’s Big Phat Band – Andy’s solos put a knowing smile on the faces of all of his mates in the trombone sections of these bands. They are all first-rate trombone players, many of whom are excellent soloists themselves and they all know what’s on offer when Andy plays. A gorgeous tone, flawless technique and musical ideas that just flow seamlessly one after the other; one into the other. Smooth, pure, powerful: listening to Andy Martin take a solo is the epitome of professional musicianship at its best. 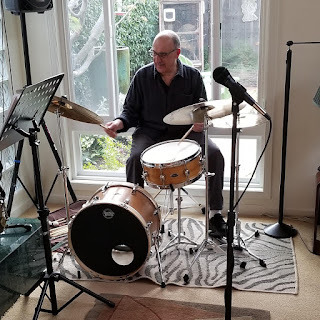 Based on the West Coast, Andy invariably draws comparisons with Frank Rosolino and Carl Fontana, two other monster Jazz trombonists who spent the majority of their careers in and around Southern California. Andy has done an album with Carl and one that is dedicated to the memory of Frank. 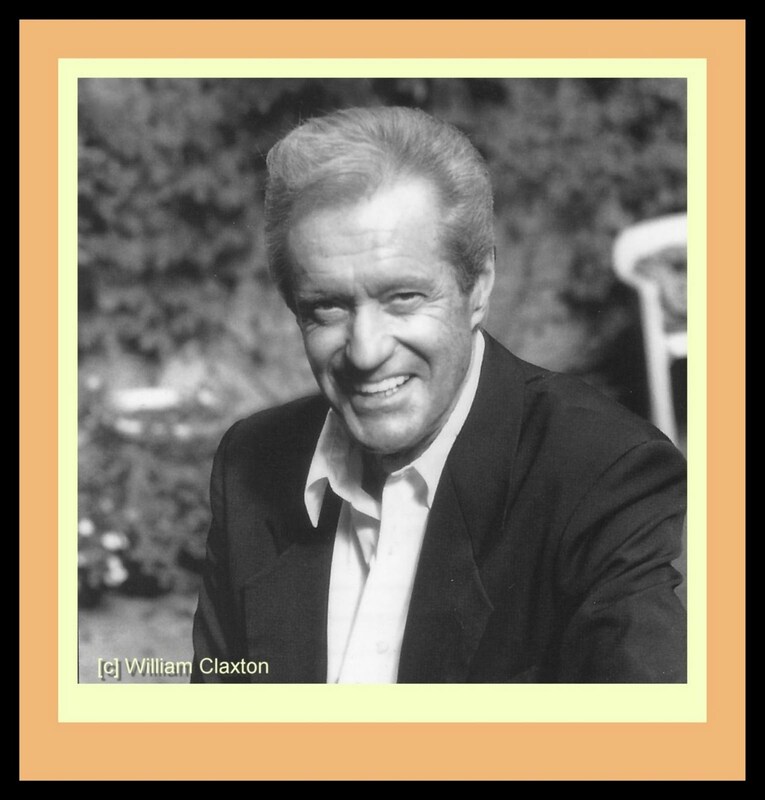 You can find more information about these and all of his recordings by visiting his website. 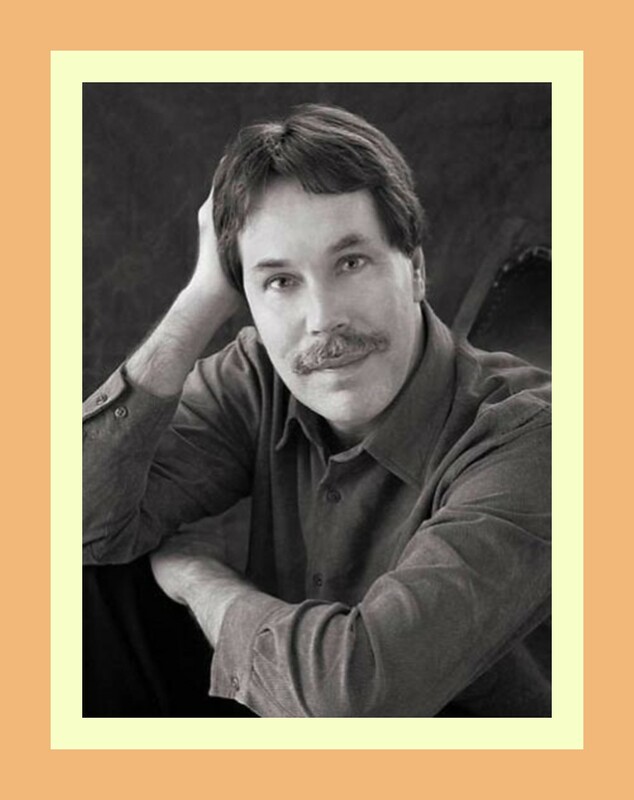 It is also a great source for details concerning all aspects of Andy's career. 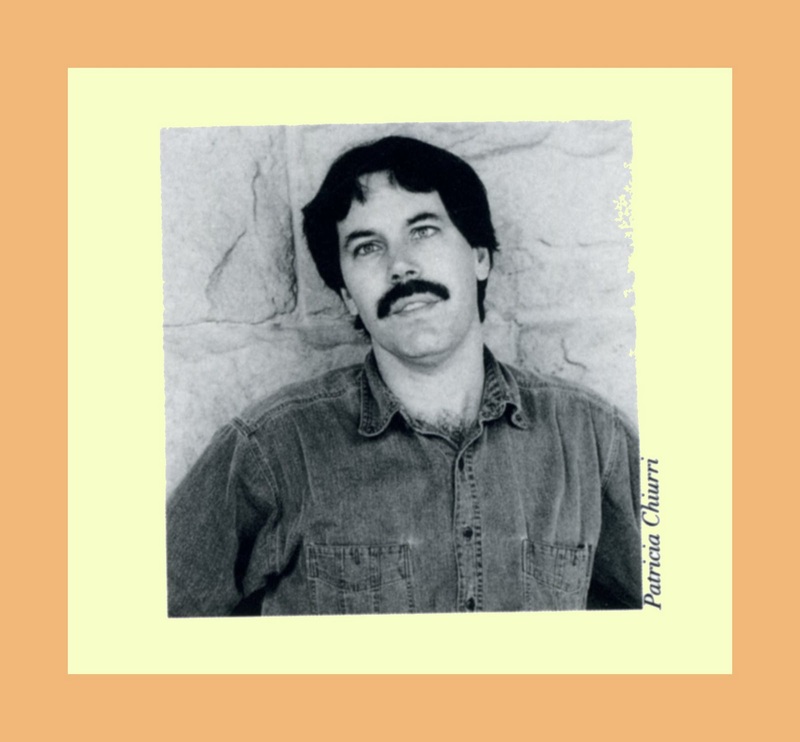 Distributed in 1998 on Chartmaker Records, I have always been partial to Walkin’ The Walk, a recording that Andy made with Bill Liston on tenor and a truly superb rhythm section comprised of Tom Ranier on piano [and too rarely heard outside of Southern California], John Clayton on bass and Jeff Hamilton on drums. Andy’s original composition Line for Lewis is from this CD and forms the audio track on the following video tribute. The tune is based on the melody of the old standard, Limehouse Blues. Checkout the four bar drum solos that Jeff Hamilton lays down beginning at 3:34 minutes. 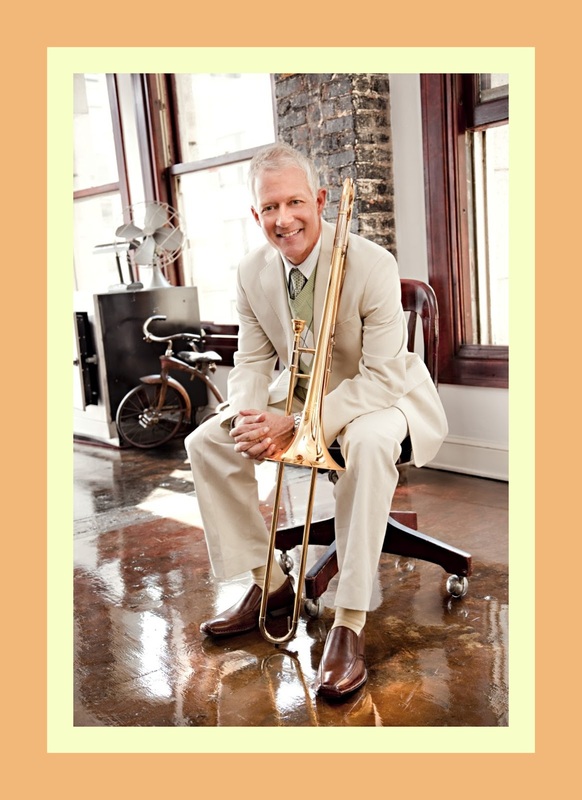 You don’t have to be a professional Jazz trombonist to smile when Andy Martin plays. All you have to do is listen; the smile will take care of itself. But I've never heard him play. This video was originally done with the Stan Kenton Orchestra performing the Marty Paich arrangement of "My Old Flame" from the "Back to Balboa" LP. EMI has since banned the use of this music worldwide so I re-made it using the Kenton band's performance of Marty's arrangement from their 1956 appearance on The Macumba Club in SF. Bill Perkins does the tenor solo and Lee Katzman does the honors on trumpet. Great portraits by Newton. There is a very simple reason for the re-posting of this feature and it is simply that the editorial staff at JazzProfiles wanted to view it again on these pages. Toshiko's compositions and imaginative charts are what sets this orchestra apart from others; she likes to paint vivid pictures with her scores. "My music is mostly programmatic," she explains. "Most of the big band writers were arrangers rather than composers, except for Ellington, of course — they played popular tunes and had a singer, and so on, but their music wasn't programmatic, it didn't tell a story. In my mind, it’s very important to tell a story. My music has to have a certain attitude, it must reflect my view of certain things — that's what I like to bring into the music I write — a point of view. That's the difference between a writer and an arranger. Duke was a writer, his music told stories." Noh, which dates back to the 14th century, and Kabuki, which had its beginnings in the early 17th century, are both very stylized forms of Japanese drama. The slightest movement of the hand, the assumption of a particular pose, the timing and nature of a mere utterance, can all have profound significance. The musical accompaniment to these plays is also of importance in underscoring mood and adding dimension to a story’s plot and character development. 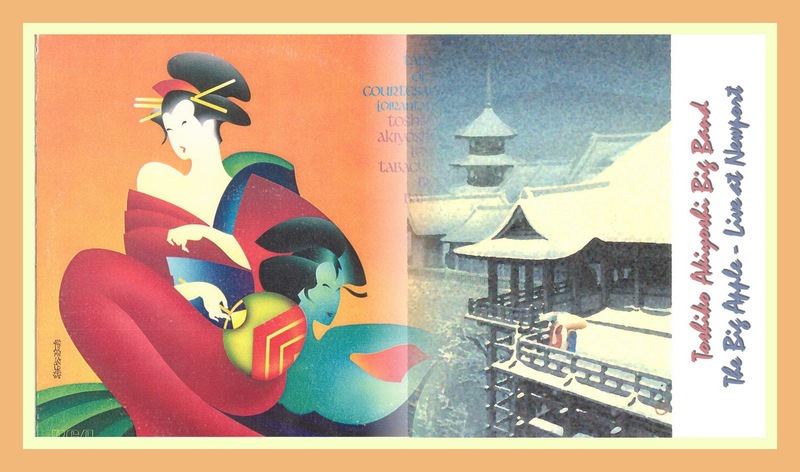 Although I am by no means expert in either Noh or Kabuki drama, I have attended performances of each and, through the tutoring of my hosts, gained an appreciation for the fact that each has a tradition as a highly codified and regulated art form. 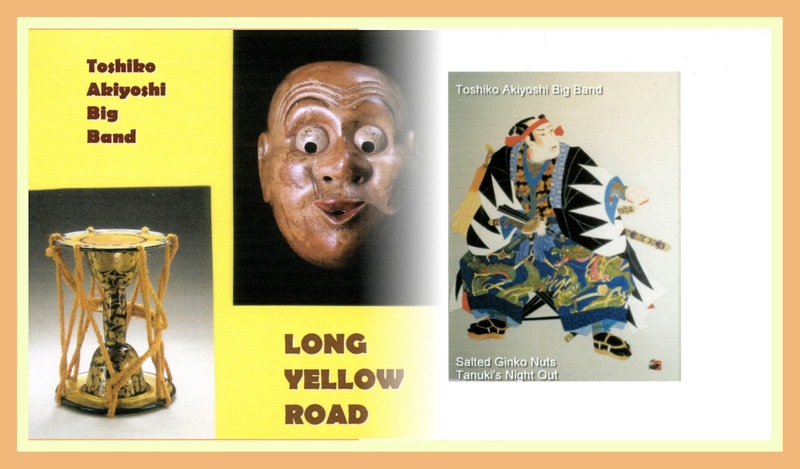 Imagine my surprise, then, when I made my first purchase of a recording by the Toshiko Akiyoshi Lew Tabackin Jazz Orchestra and heard elements of both Noh and Kabuki in the arrangements of the band’s music. I mean, I’ve always known that Jazz was ecumenical in extent, influence and application, but what was on display in the music of the Toshiko Akiyoshi Lew Tabackin Jazz Orchestra was downright catholic in the all-inclusive and all-pervasive sense of that word. 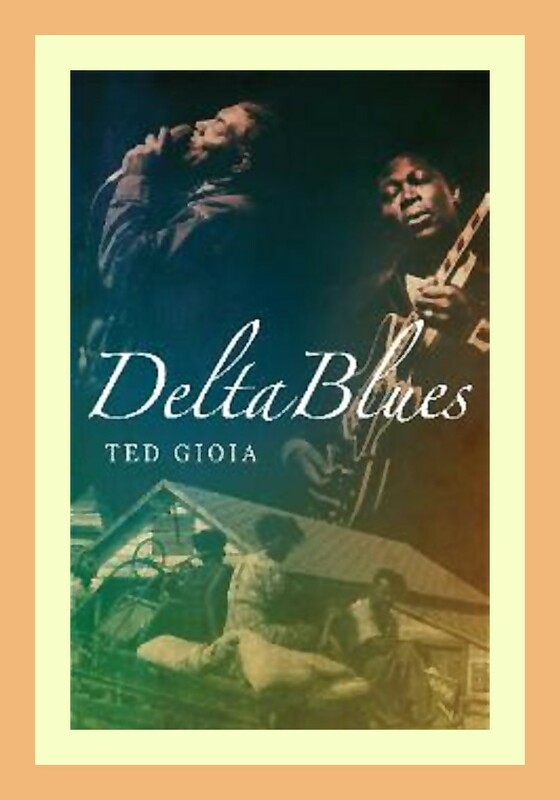 “Adopting Duke Ellington as her role model, Toshiko writes and arranges virtually everything for her sixteen-piece band. … Ducal pieces of mood, color and texture, and original techniques that synthesize Jazz with traditional Japanese instruments and themes [are employed]. …. 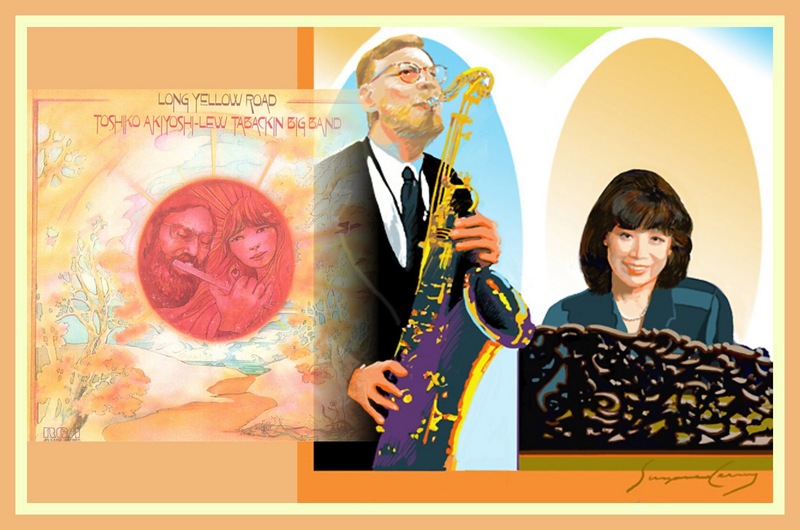 In 1972, Toshiko moved to Los Angeles with [her husband], Lew Tabackin, who as a member Doc Severinson band, was being relocated to Hollywood as part of the move from NYC by Johnny Carson’s Tonight TV show. The following year they formed a big band out of local studio musicians. Many of Toshiko’s compositions are built around Tabackin’s flute and exciting Sonny Rollins-influenced tenor saxophone playing. Toshiko took aspects of the cultural traditions she grew up with, in this case, Noh and Kabuki drama, along with other traditional Japanese fables, parables and myths and incorporated them into the other mainstay of her life – Jazz. 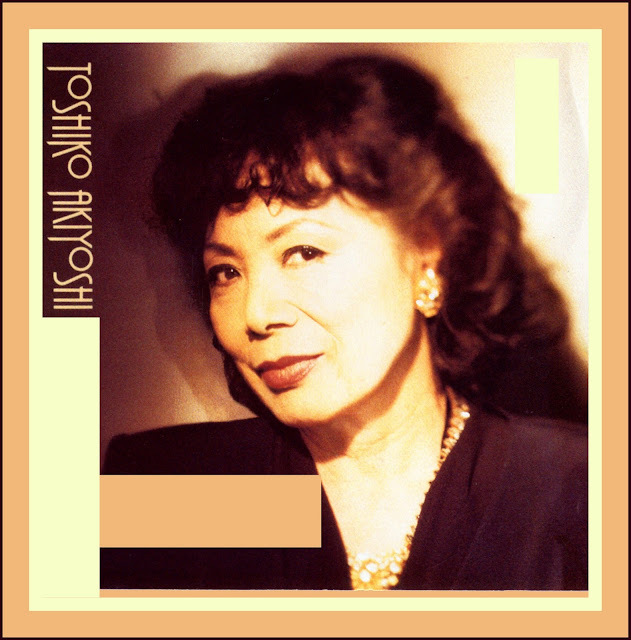 She innovated within traditional Japanese drama and the tradition of big band Jazz essentially by merging elements of one with the other. Blending these seemingly disparate elements, Toshiko created a series of elaborate and extended compositions with exotic titles such as Four Seasons of Morita Village, Hiroko’s Delight, Notorious Tourist from the East, Kogun, Since Perry, Yet Another Tear, Salted Gink Nuts, Tanuki’s Night Out, Tales of a Courtesan, Hiroshima Rising from the Abyss, Long Yellow Road, Suite for Koto and Jazz Orchestra, Drum Conference [a multi-part suite featuring Japanese Taiko drums], and After Mr. Teng. For someone with a minimum amount of formal training in theory and composition, orchestration and arranging, Toshiko has produced a staggering body of compositions. 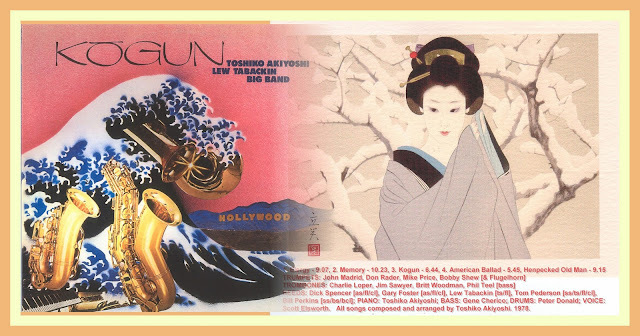 How this concept of combining East and West cultural elements evolved in her music is described, in part, in the following interview with Ian Carr which Toshiko and Lew gave for BBC Radio while appearing at the Brecon Jazz Festival in Wales, UK in 1995. Lew: “She doesn’t play the saxophone and I don’t write charts [big band arrangements]. Lew: “I’ve written some tunes, but I don’t do any arranging and she doesn’t play the saxophone and I don’t play the piano. We try to keep our specialties separate and try not to get in each other’s way. If we both were writers, maybe we’d have this constant disagreement of whatever. But we fulfill our own little spheres. Toshiko: “Unfortunately, we lost our regular Monday night place some years ago when it was closed by the city. But I think the main reasons the band works so well together is that musicians need to belong to the band. Without their cooperation, a band like this wouldn’t exist. We don’t play Moonlight in Vermont, we don’t play One O’clock Jump or Take the ‘A’ Train. It appeals to a very limited because everything is original; something they haven’t heard before. In this situation, musicians have to find the music worthy to the point that they are willing to make some sacrifices to make it work. We do rehearse on a frequent basis and we are lucky that a lot of the same musicians have remained with us over the years. Lew: “For a band like Toshiko’s, we don’t work that much. As she explained, it’s not a dance band. We are a concert band and we have our share of gigs, but we have to advise the musicians of schedules so that they hold the dates for us. Fortunately, we manage to have a very consistent band and the turn-over rate is very gradual. Toshiko: Yes, actually, I have one for next year  for the San Francisco Jazz Festival. We are going to be a main feature there and they have commissioned me to write something new for that. Ian: “How were the audiences in China, then? Were they good? Toshiko: “We did two. One place is Dalian [previously known as Darien] where I attended high school. In those days, Dalian was an area of high culture. Not so much today. Today, music and culture is the farthest things from their mind. It’s very difficult to make a living, living quarters are very poor. But they were very curious and they came. They were a different type of audience for us then the one we had in Shengyang, which is the capital of the particular province in Manchuria. We played at the music academy there and ninety-five per cent of the audience were familiar with classical music and music was a part of their lives. So they were much more sophisticated and had a different reaction. Toshiko: “That was our own record label which we had some time ago. It’s like the story about the mountain not coming to you. The recording company we were with wasn’t making it. Low didn’t want to have anything to do with it, but I was young and I didn’t realize how much work was involved. Everything from designing covers to all the other decisions. Of course, Lew helped me a bit, but not too much [laughter from all]. You have to package each of the demo copies to send to the press, and all these little things have to be done. So when Sony-Columbia came along in 1991 and recorded us at Carnegie Hall, I was ready to quit our own label and go with them. Toshiko: “We had Desert Lady Fantasy come out last year on the label, but this is sort of a one-at-a-time deal so I have no idea. Toshiko: “Actually, the first long suite that we recorded was Kourakan, in 1974, and that really came about. There was Nat Hentoff’s “Memorial to Duke” in The Village Voice. We all knew, but sometimes it has to be pointed out as Nat did, that the Duke was always proud of his race. Until that moment, I had never thought about looking into my heritage and that sort of opened my eyes to the fact that I have a different heritage than most American Jazz players and I should use that as a positive rather than a negative quality. Toshiko: “I think I have always been a student and that I will always be one. When I was in the First Grade, I heard a Third Grade student play a piece by Mozart. And I thought, ‘I would love to play like that.’ And that’s how I started playing piano. After the war, we all had to come back to Japan. My parents lost everything. So I took a job in a dance hall so I could be near a piano. And one day, a Japanese record collector came to me and he wanted me to listen to some records by American Jazz pianists. It was a revelation. I learned how to play Jazz a little by ear from listening to records. 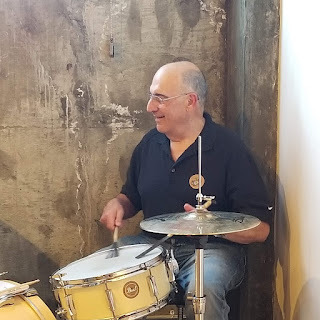 After a while, American servicemen would come to listen to me, some of whom could play Jazz and they taught me some things. But I learned mostly by listening to records. Toshiko: “That was until 1959. But when I arrived in 1956, I was very fortunate that I got a job playing four nights a week at the club, Storyville. And also, many groups would stop by and I would get a chance sometimes to sit-in with them while they played the club. Lew: “Not much. Every once in a while we’d make an attempt at a little Bach, or something. But I’m in my little world and she’s in hers. [laughter] Fortunately, we have space in between. We have a big enough space: I’m in the basement and she’s two floors above. 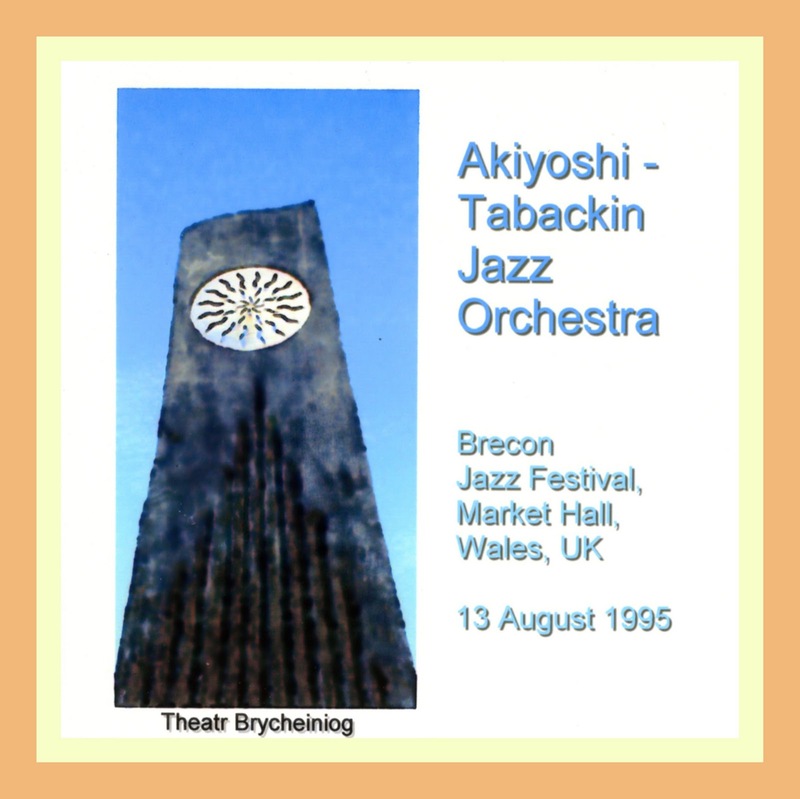 It is very special: there’s not another big band like The Toshiko Akiyoshi Jazz Orchestra featuring Lew Tabackin and I doubt that one like it will appear in Jazz ever again. It’s one thing to have the idea of melding cultural opposites, it’s quite another thing to bring it off and to create artistic excellence in the process. I’ll try to keep this introduction brief so that my mumblings don’t detract too much from what follows. 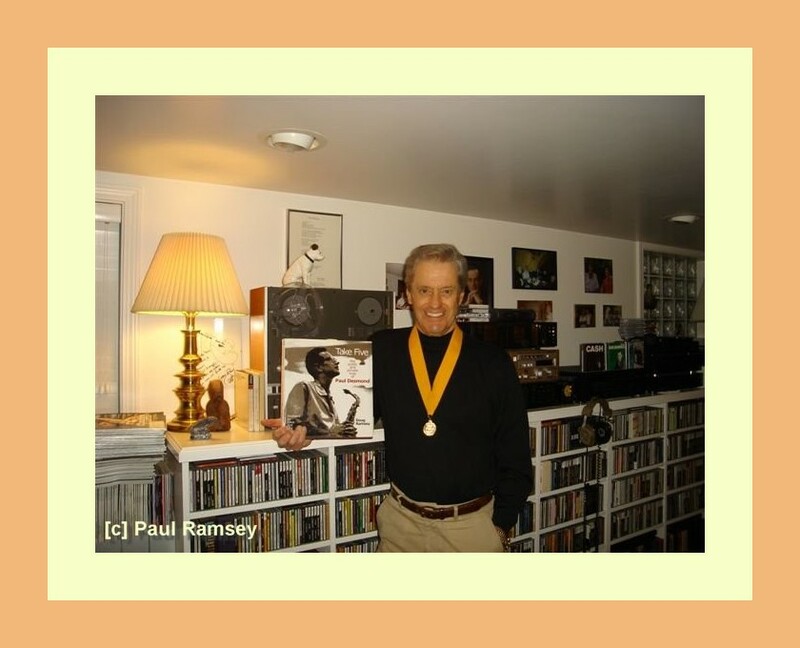 Doug Ramsey has been brilliantly “explaining” the merits of the work of Jazz musicians and the qualities of Jazz recordings for over fifty years. 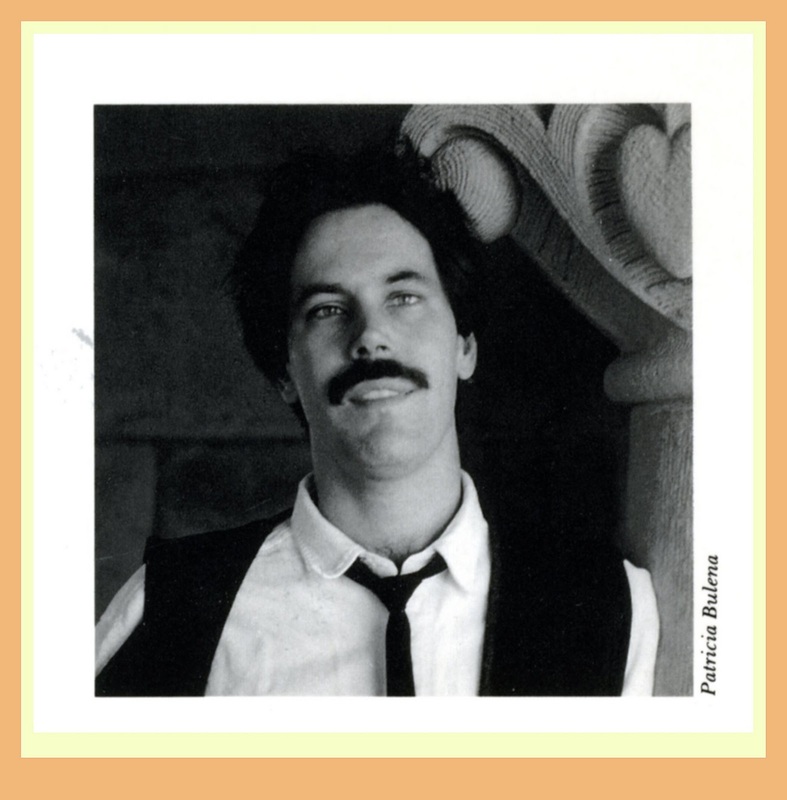 Doug’s writings about Jazz are so artfully done that opening an LP or a CD and finding that the descriptive notes have been written by him is the metaphoric equivalent of finding a real diamond at the bottom of a box of Crackerjacks. Those of us who write about Jazz feel the same way about Doug. - Did you play an instrument? My next instrument, starting at 13, was the trumpet. To be more precise, it was a 12-dollar cornet that belonged to the junior high school band. Eventually, I saved enough from a paper route to buy a used Olds Special, an excellent horn that I still have but rarely play. Much later, Clark Terry got me a factory deal on a CT model Olds flugelhorn. For several years I’ve had the Bobby Shew Yamaha trumpet and the Shew model Yamaha flugelhorn. Lessons with Bobby during my L.A. years were invaluable. I’ve never stopped playing, despite many requests. The black and white picture shows me sitting in illegally at a club called the Crown Bar in the late 1950s when I was in the Marine Corps, stationed in Iwakuni, Japan. The tenor player in the striped shirt is Sergeant Paul Elizondo, who went on to lead a big band famous in San Antonio, Texas, and become a popular Bexar County commissioner. The drummer was a corporal named, I think, Sears. The pianist and bassist had the gig at the club. Although the base at Iwakuni was headquarters of the First Marine Air Wing, my commanding officer was an Air Force colonel 450 miles north at Far East Network headquarters in Tokyo, an ideal arrangement. My job was to run the Iwakuni radio station of FEN, staffed by Marine, Army and Air Force enlisted men and a handful of Japanese civilian employees. 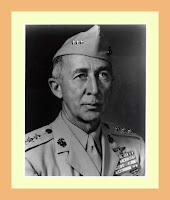 The commander of the air wing was Lt. General Carson Abel Roberts. 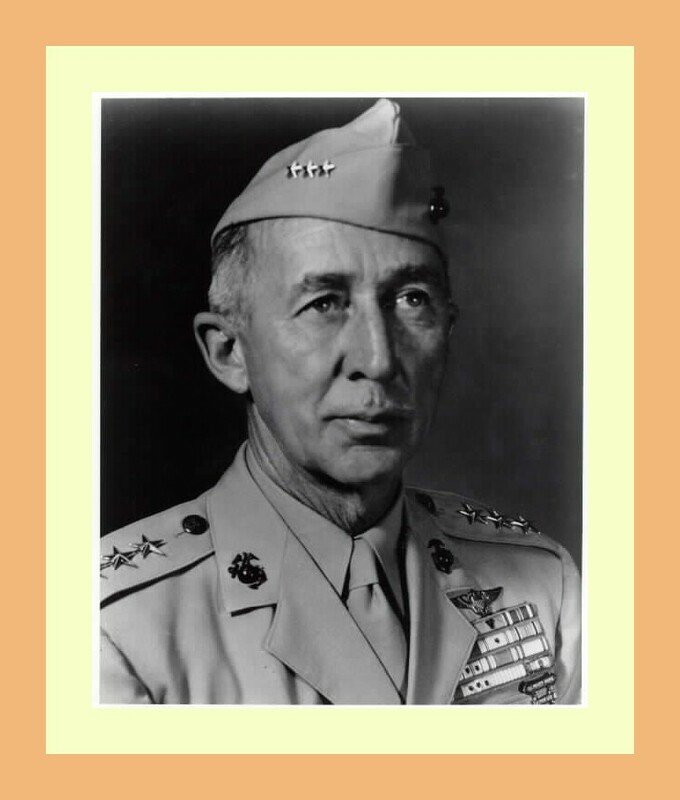 One night when I was sitting in legally at the officers club on base, General Roberts introduced himself as a fellow player who as a youngster had known Bix Beiderbecke. On that thread, an unlikely friendship developed between the war hero three-star general and the greenish first lieutenant. If I had been under his command, that would have been unlikely. We were on a first-name basis; he called me Doug and I called him General. 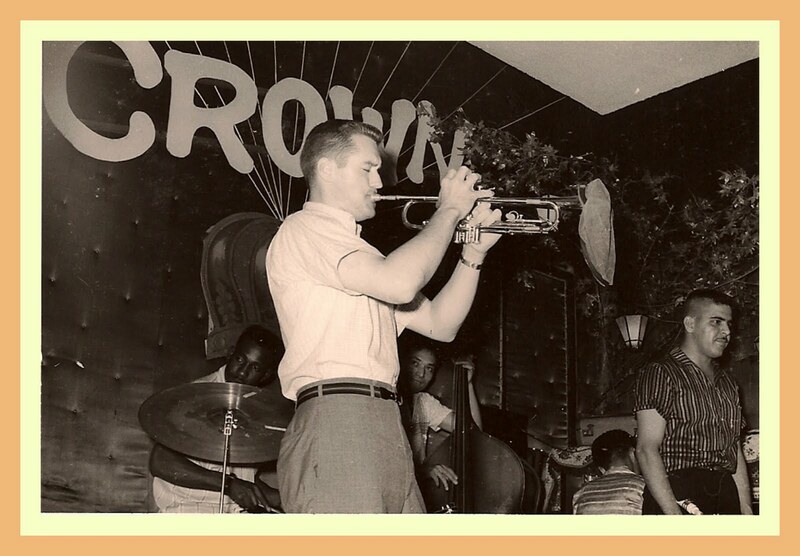 Sitting-in in town couldn’t have been too serious a violation of regulations; one night, General Roberts showed up at the Crown with his cornet and asked if he could play “Green Eyes,” which he did—a bit shakily but with the right changes. It is my good fortune that there are outstanding musicians in my current hometown, Yakima, Washington, who allow me to play with them. We actually had a paying gig not long ago. Fifty bucks apiece. The way things are going, I know a few guys in L.A. and New York who would jump at that. World-class players come here frequently to play at The Seasons Performance Hall. A couple of Seasons Fall Festivals ago, Marvin Stamm invited me to play a duet with him. Actually, he informed me that I would play a duet with him. 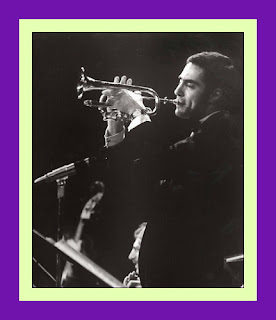 Bill Mays wrote a splendid arrangement of Freddie Hubbard’s “Up Jumped Spring” for trumpet, flugelhorn, violin, two cellos and rhythm section (Mays, Martin Wind and Matt Jorgensen). It was fun. No one in the audience threw anything. My parents’ small collection of 78s was a mish-mash that included, among other things, records by Frankie Carle, the Andrews Sisters, Rafael Mendez, Eddy Arnold and Louis Armstrong. They had a record changer hooked up to the big Philco console radio in the living room. I played Mendez’s “La Virgen de la Macarena” a lot and wore Armstrong’s “Mahogany Hall Stomp” practically white. I’m not sure that I knew what Armstrong did was called jazz. I was perhaps 10 years old. - Many conversations about jazz invariably turn to “impressions” and “favorites.” Why do you think this is the case? 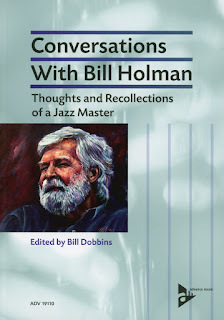 The quotes are from the Herman chapter in my book Jazz Matters: Reflections on the Music and Some of its Makers. Armstrong, of course. The next jazz player I’m conscious of admiring was Muggsy Spanier. He led in a curious way to Charlie Parker. 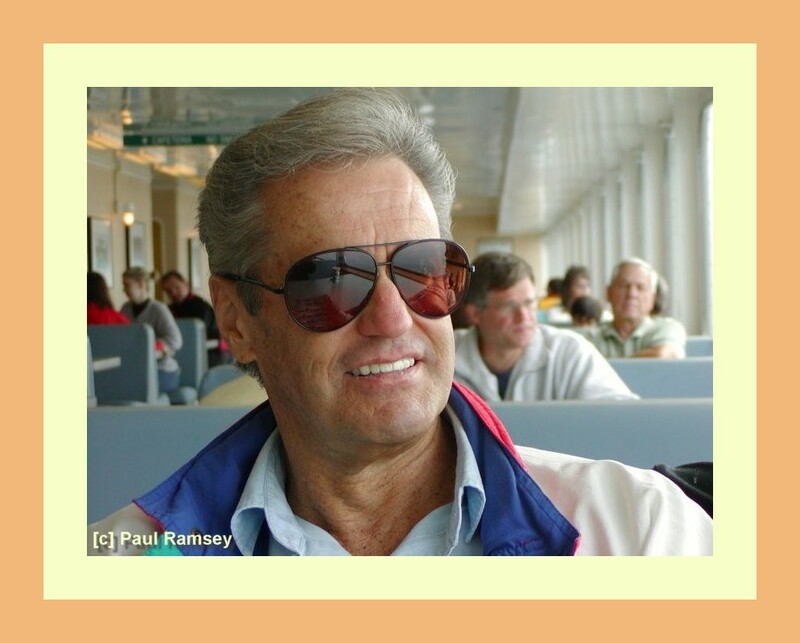 When I was 15 or so, I was in a booth at Belmont Radio & Music in my hometown, Wenatchee, Washington, the Apple Capitol of the World and the Buckle of the Power Belt of the Northwest, listening to Spanier’s Commodore recording of “Sugar.” The son of the store’s owner was the tenor saxophonist Don Lanphere, who not long before had recorded “Stop,” “Go” and those other Prestige 78s with Fats Navarro, Al Haig, Tommy Potter and Max Roach. Don was home for a while, getting well and helping his dad. He opened the door, handed me a record with a yellow label and said, “Here, listen to this.” It was Parker on Dial; “Yardbird Suite” on one side, “Moose the Mooche” on the other. That introduction by Don affected my listening habits, expanded my horizons. 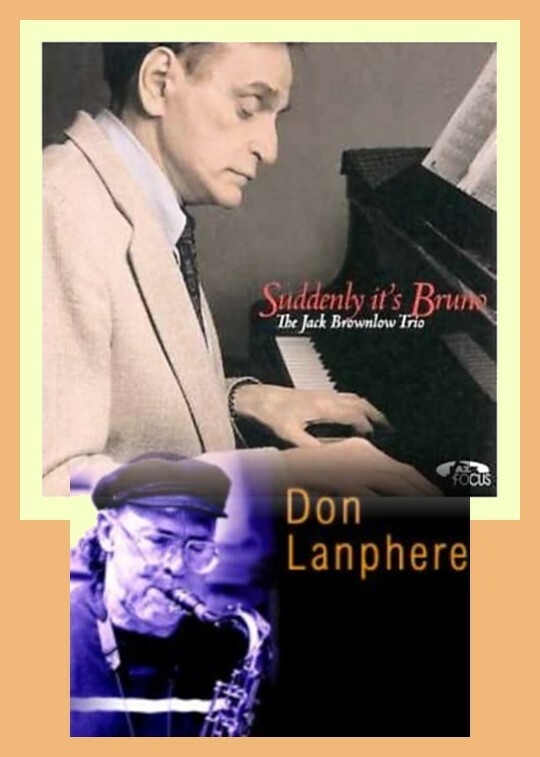 At about the same time, I worked up the courage to introduce myself to the pianist Jack Brownlow, Wenatchee’s other great jazz musician, who helped Lanphere develop. I had heard him at high school dances and could sense, even in that context, that he was something special. He asked if I was a musician and invited me to his house to play. It was a disaster. I knew nothing about improvising and proved it. Still, he took me on, gave me ear training, played me recordings of all the right people and explained what they were doing. Among other revelations, he made me aware that Nat Cole was a great pianist—and why. Those listening lessons went beyond jazz. At Jack’s house I first heard Stravinsky, Villa Lobos and Shostakovich. One indelible evening at Lanphere’s, Don introduced me to the Boston Symphony/Charles Munch recording of Ravel’s “Daphnis and Chloe.” I could go on and on about what I owe Jack and Don. They developed the musical portion of my brain. - Staying with your impressions for a while, what comes to mind when I mention the following jazz musicians? I’ve been listening to him for more than six decades. I’m hearing new things and rediscovering things that astound me. I recently put up on Rifftides his “Summertime” from the Porgy and Bess album with Ella Fitzgerald. His expression of the melody of that song is an apotheosis of pure music. His introduction to “West End Blues,” which I have heard 4,372 times, still devastates me. When Dizzy said, “No him, no me,” he wasn’t kidding. I’ll take it further; no Armstrong, no jazz as we know it. A magician. An alchemist. There’s a story that some of the most gifted Hollywood film composers were asked to listen to several complex pieces of music and analyze the chords. They nailed them, down to the last e-minor half-diminished 13th with a 9th on top (I made that up). There was an exception, the Ellington example. These composers with ears like sonar could not agree on what the harmonies were made of. 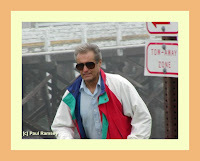 Duke kept his band together through low-key leadership and management that are studied in business schools, and—no small matter—through the proceeds of his song royalties. With the indispensable help of Billy Strayhorn, he made his orchestra and its members extensions of himself. They, in turn, helped to shape him. 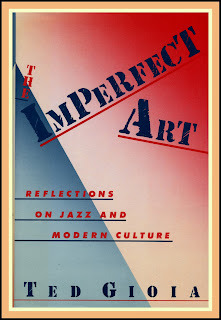 It is not possible to imagine outside the crucible of Ellington’s band, for example, the Johnny Hodges everyone knows, or Ellington without the inspiration and challenge of writing for his great individualists, Hodges, Cootie Williams, Ben Webster, Harry Carney, Rex Stewart, Paul Gonsalves and all the others. Bird called him “the other half of my heartbeat,” but to a large extent Dizzy was also the brain of the bebop movement. For him, teaching was a calling. James Moody, Jimmy Heath, Ray Brown, Mike Longo and countless others have recounted Dizzy’s patiently giving them insights into harmonies and structures central to the music. 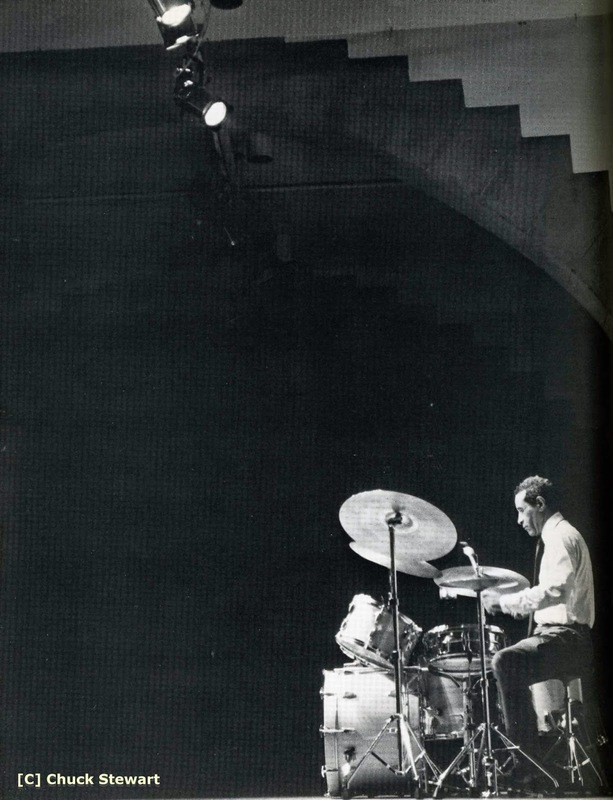 On the heart side of the equation, he was the embodiment of rhythm in all of its power, simplicity and complexity. He recognized the catalytic importance of Chano Pozo, and Afro-Cuban jazz became a part of the jazz mainstream. Let’s see, there must be something else. Oh, yes, he was the most gifted and influential trumpet soloist of his generation and a few generations since. No him, no Fats Navarro, Kenny Dorham, Conte Candoli, Miles Davis, Art Farmer, Idrees Sulieman, Lee Morgan, Freddie Hubbard, Brian Lynch, Ryan Kisor. Feel free to complete the list. It may take a while. When you have time, listen to his solo on “Night in Tunisia” (RCA Victor, 1946). All of those guys did. In 1962, I was working at KYW-TV in Cleveland, before those call letters moved to Philadelphia. Dizzy was the guest host for a week on The Mike Douglas Show, which was produced at KYW. He had the quintet with Moody, the 19-year-old Kenny Barron, Chris White and Rudy Collins. On the show, they played “Chega de Saudade,” the first time I had heard a bossa nova played with that intensity. They were playing that week at the Theatrical Grill downtown on Short Vincent (I love that street name; had to work it in.) One night after the gig, Dizzy and I got to talking and he invited me to his hotel room to continue the conversation. We shared a bottle of red wine, had a serious discussion about music, acted silly and developed a warm acquaintance that lasted until he died. He had a great ear for emergent talent among players and arrangers and a dedication to massive sound. The two qualities often conflicted but, as in the Contemporary Concepts period, at their best his bands produced stimulating music of great importance. Kenton was a better pianist than he is generally given credit for, and some of his arrangements from the 1940s and 50s are superb. 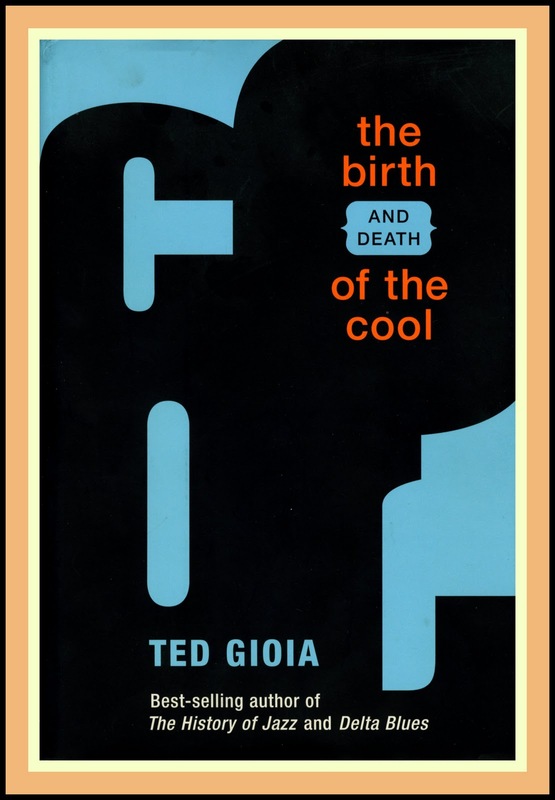 He was a brilliant arranger and composer who synthesized the spirit of the big band era and the innovations of the Birth of the Cool band into a highly personal style. Those early 1950s Giants recordings with Art Pepper, Hampton Hawes, Shelly Manne and all hold up as well as anything from the period, regardless of coastal origin. 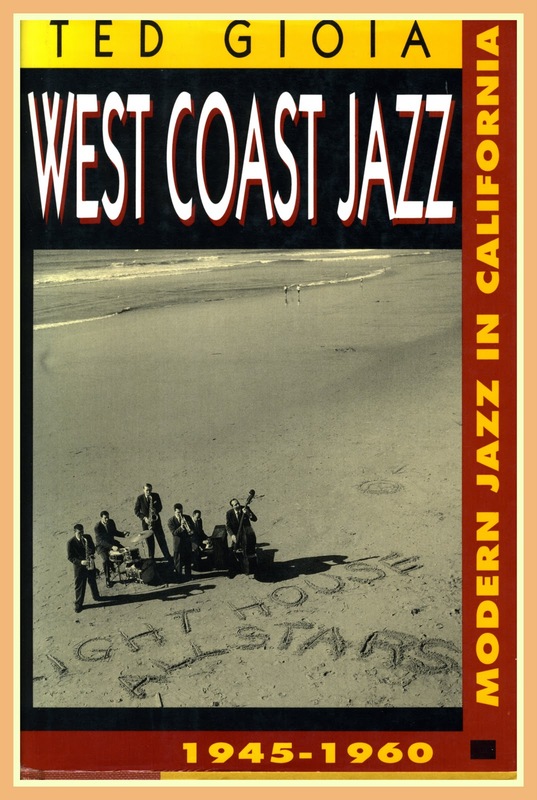 His work on the East Coast-West Coast Scene album he shared with Al Cohn, particularly “Elaine’s Lullaby,” is masterly. Rogers’ trumpet and flugelhorn playing was idiosyncratic, beguiling. His Atlantic and Pacific Jazz quintet albums are classics. “Martians Go Home” should have won a special award for economy and humor in the use of “Rhythm” changes. His writing made the Kenton band swing regardless of its leader’s inclination. His charts for his own big band were brilliant, but he stretched himself so thin that he didn’t do enough writing for it. His pianoless quartet had a brief existence but is inspiring musicians more than half a century later. Mulligan was the baritone saxophonist who could sit in—and fit in—with anyone. His sextet with Bob Brookmeyer, Art Farmer, Jim Hall and Bill Crow was a great band, and Night Lights is a masterpiece. He was restless in his curiosity and search for knowledge. He was a stimulating dinner companion. I miss him a great deal. I’ll refer to what I wrote not long ago on Rifftides about putting on the Horace Silver and the Jazz Messengers album as background music to begin the day. I chose it because I wanted something that had solos I could sing, hum and whistle along with as I fixed breakfast. Every note of Horace Silver’s second Blue Note album, the first by the Jazz Messengers, has been embedded in my brain since shortly after it was released in 1955. My record collection then consisted of 10 or 12 LPs. This was one of them. I played it so often that Silver’s, Kenny Dorham’s and Hank Mobley’s solos and Art Blakey’s drum choruses became part of my mind’s musical furniture. 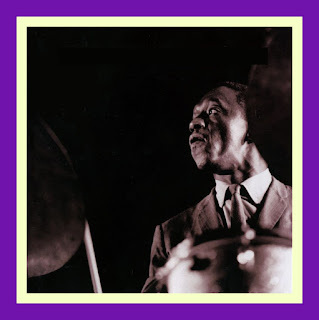 Silver, Blakey and bassist Doug Watkins comprised a rhythm section that was the standard for what came to be called, for better or for worse, hard bop. Dorham and Mobley, with their deep knowledge of chord-based improvisation, constructed some of their most memorable solos. Silver’s compositions—and one by Mobley—are classics. Horace’s own bands that followed—with Art Farmer, Clifford Jordan, Blue Mitchell, Junior Cook, Joe Henderson, the Brecker Brothers and Ryan Kisor, among others—comprise an important chapter in the history of the music. I am sorry to hear that he has been ailing. Recently I contributed an historical essay to Bob Belden’s pending Miles Español project. 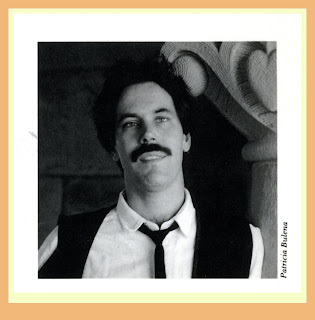 Working on it brought home again that the pervasive influence of the Davis-Evans Sketches of Spain has reached virtually all precincts of music, as Belden’s video and CD show. From his arrangements for the Birth of the Cool band through Miles Ahead, Porgy and Bess, Sketches of Spain and Quiet Nights, Gil’s understanding of Miles’ temperament, inclinations and leanings made it a perfect partnership. I wish that it had lasted longer, but what they gave us will endure. A great singer. He sometimes went overboard in the melisma department, but his intonation, swing, diction and lyric interpretation were flawless. His collaborations with the Marty Paich Dek-tette, particularly Mel Torme Swings Shubert Alley, and his duets with George Shearing belong in the vocal hall of fame. Is there a vocal hall of fame? She learned—absorbed—from Gil Evans and Bob Brookmeyer and developed a recognizable style. Now, she herself is an influence. Like most category-based criticism, assessments that she has gone beyond or outside jazz are meaningless. Forget labels; she writes wonderful music. If you’ve ever watched her work in front of her big band, you know that she is an inspiring leader. Sky Blue was terrific. I look forward to her next album. - What made you decide to become a jazz writer? I’m not sure that I decided. It happened. In the eighth grade, a teacher told me that I should be a reporter. 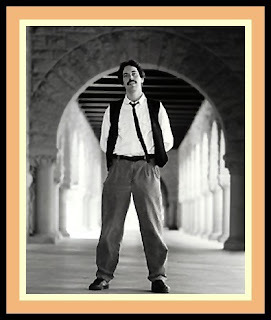 I considered law and architecture, but ultimately majored in journalism. The junior year at the University of Washington School of Journalism was total immersion in the newspaper process. We put out a daily paper. Music was one of the beats the editors handed me. I wrote frequently about jazz. I’ve never stopped, although three years in the Marine Corps slowed my output. My career has been in newspapers, broadcast news as an anchor, correspondent and news director; then as an educator of professional journalists. I have had a parallel career or sub-career as a writer about jazz and free press issues and as a novelist; one novel so far. - Is there a form of writing about jazz that you prefer: insert notes, articles, books …? - If you could write a next book about jazz on any subject, what or who would be the focus of such a book? I’m working on a book that will be, essentially, a collection of liner notes, which, done right, is a form of journalism. I’ve written a few hundred sets of notes. Some of them hold up. - You’ve accomplished many wonderful things in your life both personally and professionally. Why is it that jazz has continued to play a role in your life? Because it goes to the core of what I value: individuality, freedom of expression, human interaction, beauty. Why must we have favorites? Why not evaluate every book, film, composition, solo, or painting on its merits, without ranking it? For that matter, why must we have favorite musicians, actors or newscasters? (Gene Lees ‘ unisex term for them was “anchorthings.” Boy, do I miss him). That thought leads to popularity contests or, as the magazines call them, readers polls and critics polls. If publicity about winning poll results in more work, record sales and income for deserving musicians, perhaps polls are worth something, but I don’t trust them much; I get too many e-mail messages from musicians and their publicists pleading for votes. I have voted in many critics polls, but I’ve become increasingly skeptical of them. I’ve come to dislike the very word “favorite,” but I can’t come up with a suitable synonym. 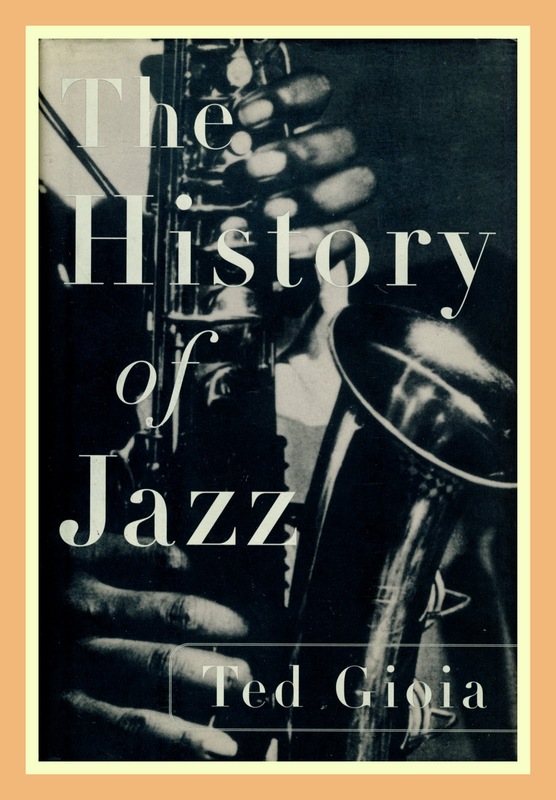 - What are some of your favorites books about jazz? There you go again. All of Whitney Balliett’s books, all of Martin Williams’, Gene Lees’ and Nat Hentoff’s. Gunther Schuller’s Early Jazz and The Swing Era. I’ve been waiting for years—make that decades—for Schuller’s book on bebop. Both of Louis Armstrong’s autobiographies. 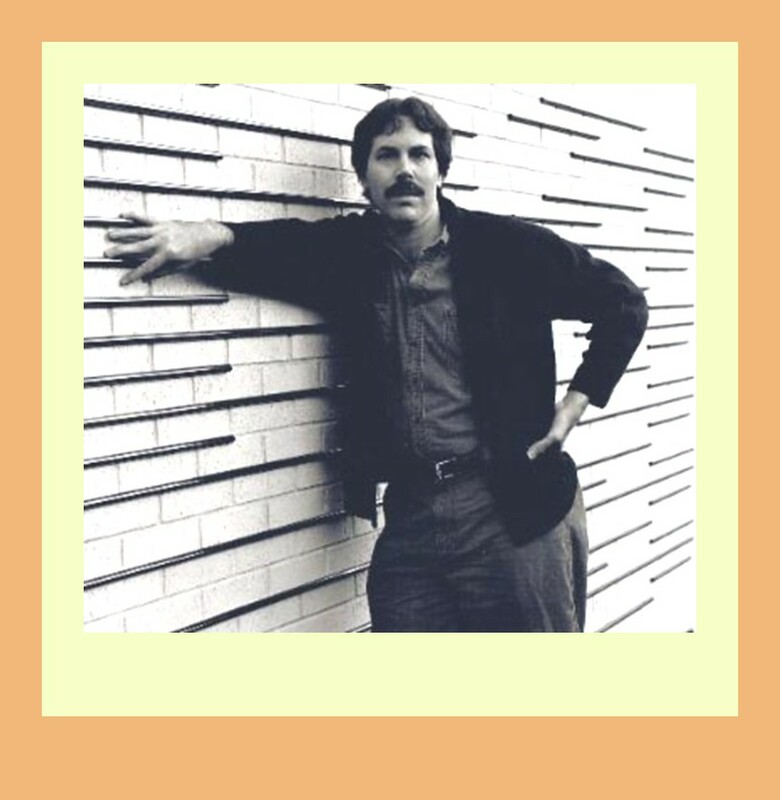 Dan Morgenstern, Ira Gitler, Gary Giddins, Andre Hodeir, Ted Gioia, Stanley Dance, Joachim Berendt, Francis Davis, Albert Murray, Larry Kart, Royal Stokes, Stafford Chamberlain, Jeroen de Valk, Ashley Kahn, Bill Crow’s books of anecdotes, Mike Zwerin. Wait a minute, this is a trap, you know. Sure as the devil, I’m leaving out 10 or 15 valuable writers about jazz. 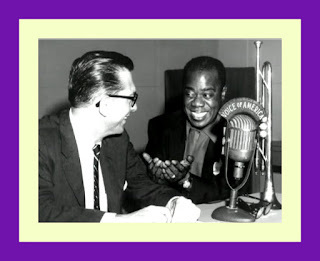 The Sarah Vaughan 1950 Columbia’s with George Treadwell and his All Stars: Miles Davis, Benny Green, Budd Johnson, Tony Scott, Jimmy Jones, Freddie Green (or Mundell Lowe) and Billy Taylor. You’ll notice that there is nothing recent on that list. Maybe it takes favorites a few years to develop. - Who are your favorite big band arrangers? (Not in order) Eddie Sauter, Fletcher Henderson, Bill Holman, Duke Ellington, Billy Strayhorn, Gil Evans, Mike Abene, Jim Knapp, Frank Foster, Bob Brookmeyer, Darcy James Argue, Don Redman, Duke Pearson, Gerry Mulligan, Maria Schneider, Benny Carter, Ralph Burns, Slide Hampton, Bill Kirchner, Quincy Jones, Johnny Mandel, Sy Oliver, Gerald Wilson, Melba Liston, Neil Hefti, Oliver Nelson. This could go on a while. May I stop now? Louis Armstrong, Sarah Vaughan, Billie Holiday, Anita O’Day, Carmen McRae, Jimmy Rushing, Helen Merrill, Nat Cole, Carol Sloane, Bill Henderson, Peggy Lee, Joe Williams, Ray Charles, Jack Teagarden, Teddi King, the young Ethel Waters, Mark Murphy, Meredith d’Ambrosio, Karrin Allyson, Fats Waller, Nancy Marano, Jeri Southern, Jimmy Rowles, Mildred Bailey, Chet Baker, Rebecca Kilgore, Johnny Hartman, Carol Fredette, John Pizzarelli, Nancy King, Daryl Sherman, Mel Tormé, Maxine Sullivan, Ray Nance, Blossom Dearie; Lambert, Hendricks and Ross. That’s the short list. An incomplete list: Ambrose Akinmusire, Bill Charlap, Steve Wilson, Kirk Knuffke, Bill Mays, Sonny Rollins, Diana Krall, Kenny Barron, Miguel Zenón, Jessica Williams, Wadada Leo Smith, Ed Partyka, Branford Marsalis-Joey Calderazzo duo, Gretchen Parlato, Matthew Shipp, Matt Wilson, J.D. Allen, Alexander String Quartet, Dubravka Tomsic, Jan Lundgren and everybody on Bob Belden’s Miles Español project. 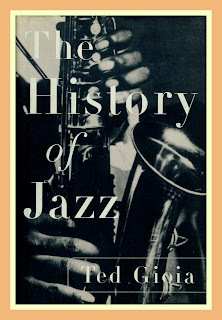 - Of all your writings about jazz over the years, which ones are you most proud of? Recently, the notes for the MJQ Mosaic box and that Miles Español piece, but overall, probably the Desmond biography and the non-jazz novel Poodie James, because so much of my blood, sweat and being went into them. 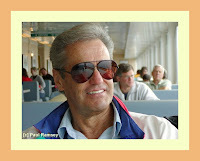 - What are you thoughts about blogs and websites devoted to jazz? It is clear that there are no rules for blogging. 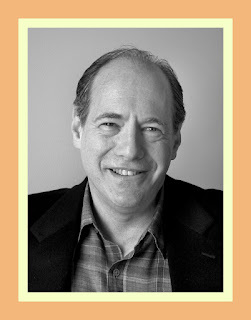 My conviction is that the standards of accuracy, fairness, thoroughness and reliability that go into any responsible writing must apply to blogging. Opinion should be plainly identified as opinion, if only by context and usage. The medium offers wide possibilities for sound, photographs, video, even a certain degree of interactivity. Many jazz blogs just sit there looking like pages out of an academic journal or a thesis. - If you could host a fictional “jazz dinner,” who would you invite, and why? Good conversationalists. Most jazz musicians are good conversationalists. - If you could put on an imaginary three-day jazz festival in Yakima, WA, how would you structure it and who would you invite to perform? Fortunately for Yakima, it has The Seasons Performance Hall, which in addition to its regular schedule has a week-long festival in the fall. 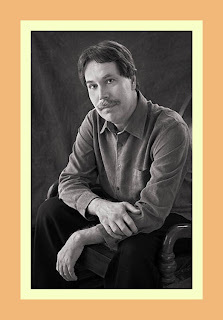 The festival has included James Moody, Jessica Williams, Bill Charlap, the Brubeck Brothers Quartet, Tom Harrell, Ernestine Anderson, Tierney Sutton, Marvin Stamm, Karrin Allyson, Jerry Gonzalez and the Fort Apache Band, Eric Alexander, David Fathead Newman and the Bill Mays Trio with Martin Wind and Matt Wilson. The Seasons Fall Festival also incorporates classical elements. Maintaining quality hasn’t been easy because of the economic morass we’re in, and in recent regular bookings The Seasons has resorted to lesser music in an attempt to pay the bills, a familiar story in the arts these days. As a pro bono adviser to this nonprofit hall, I advise them to hang in there and aim for the standard of quality implied in that list of names. As for structure, The Seasons Fall Festival has always been linear. It does not put artists in competition with one another, a la Montreal, New Orleans and other festivals that have morphed into huge parties. You wonder how much they have to do with music. - If you were asked to host a television show entitled – The Subject is Jazz – who would you like to interview on the first few episodes? Sorry, Steve, Gilbert Seldes and WNBC-TV took that title half a century ago. We’ll have to choose another. How about The Steve Cerra Show? I would ask Sonny Rollins, George Wein, Branford Marsalis, Bill Mays, Dave Brubeck, Dee Dee Bridgewater, Miguel Zenón, Benny Golson, Marian McPartland, Cedar Walton, Gerald Clayton, Darcy James Argue and Matthew Shipp. That’s the first 13 weeks. Do you think we’ll be renewed? - What writing projects about jazz have you recently finished? Are there any that you are currently working on? I put up a new Rifftides post this morning. I recently wrote the Mosaic MJQ notes just mentioned, and a lengthy historical analysis of the musical connections among Spain, Africa, the Caribbean and New Orleans for the Miles Español project. 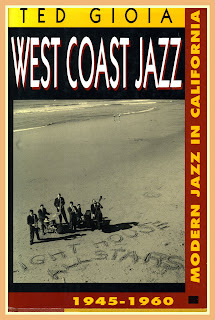 There is another jazz book in the works, but it has a long way to go. A second novel that I started some time ago keeps calling to me from the depths of the computer, where it has been imprisoned. - You have done a lot of writing over the years on the subject of jazz. Have you given any thought to “collecting” these and leaving them with a college or university library for future reference? Jazz Matters: Reflections on the Music and Some of its Makers is a collection. So, more or less, is the next book. That’s one way of making the work available beyond the moment. No university has been pounding on my door but all reasonable offers will be considered.